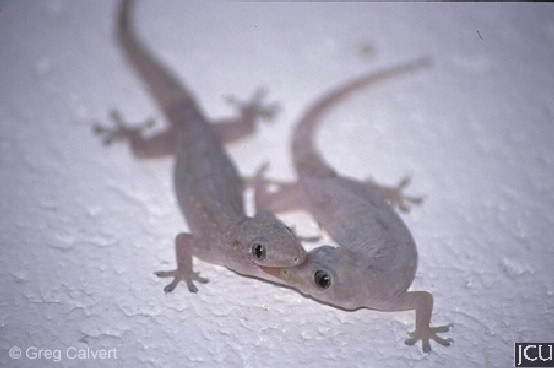 This introduced gecko can be readily identified by its distinctive call, it is noisy. It is mainly observed in buildings. Although chiefly nocturnal it changes colour from pale at night to darker by day. 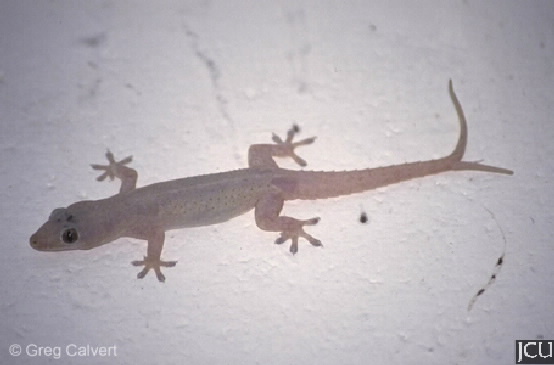 The tail is cylindrical to slightly flattened, there are small spines along the margins.